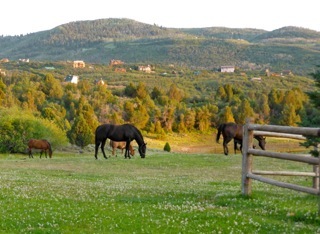 There is at least 1 active adult community in Heber City, with many other de facto 55+ communities in the nearby Park City area. Deer Crest is one wealthy enclave that seems to border Park City and Heber City. Red Ledges is another very affluent development with top tier golf course. According to Zillow, the median listing price of a home was $599,000 in late 2017. This is an area of great beauty and tall mountains. The world famous Sundance Resort is just a few miles up the road. There are many lakes in the area which are popular for boating. The fly fishing in the streams is extraordinary. Heber City is rapidly growing; It is a resort community; Winters are cold and snowy. Heber is in north central Utah, about 1 hour southeast of Park City. The elevation is 5600'. The average January temperature is in the mid 20's and the average July temperature is 70. Humidity and rainfall are low. You would want to go to Park City or Salt Lake City for dining and culture. Heber City has a low crime rate. 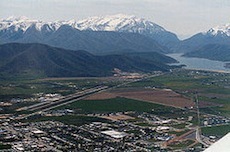 Heber City Municipal Airport; Salt Lake City International Airport is about 50 miles away; Heber City is considered a very walkable community when compared to other towns.